Video games have always been good in teaching ideas using interactivity. Minecraft, one of Microsoft’s premier open world video games, utilizes this idea to its full effect. The revolutionary mining and crafting game changed the world of gaming by providing an open sandbox experience. In the game, players are tossed in a big world where you gather your own resources and build anything your imagination can conjure up. Minecraft encourages independence and self-direction. The game is tailored with no specific goal in mind except to harness resources and use these resources to build things from stoves, doors, houses, to giant fantasy kingdoms like Game of Thrones’ Dragonstone. This opens a lot of potential to create virtually anything that a student can come up with. Young minds are best utilized when put in an environment that allows them to create anything. Minecraft serves as a platform for that and with specifications tailored for its Education version, an institution will be able to harness its full potential. Minecraft is a virtual learning lab and maker kit where students can demonstrate concept mastery and document their achievements. The game allows creators and players to save and share their creations all around the world. Just pick a server and upload your creations and you’re good to go. With network features and seamless integration with networks, Minecraft allows peers to develop worlds and creations that they can share all around the world. This, coupled with the boundless tools that Minecraft has, gives way for the most innovative ideas conceived in the digital space. Studies have shown that there are different kinds of learners. There are those who learn through seeing, reading, hearing, or through experience. Minecraft is platform where all these types of learner can work together towards a common goal. From the start, students are tasked with gathering the most basic of materials from wood, stone, and even food. Players will also have to learn how to navigate on a foreign land filled with different types of geography, animal, and plant life. The game also challenges players to survive many challenges before they even start building their own creations. This living and breathing environment is key in not only teaching students creativity through a digital media but also on how to collaborate on the digital space. 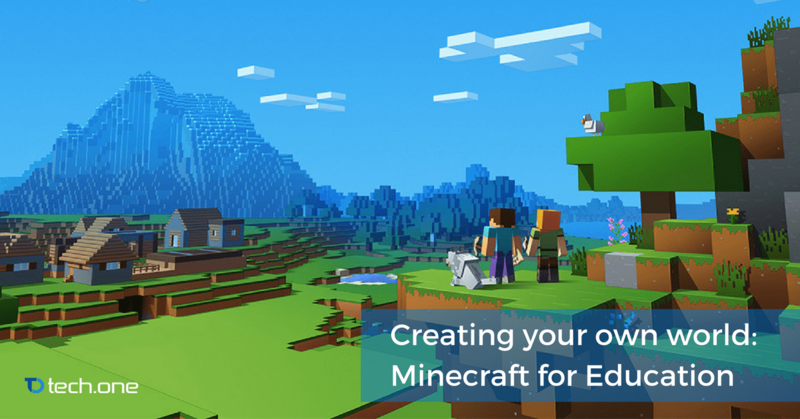 Excited to see what Minecraft for Education can do for your institution? Enjoy a free demo by signing up today!